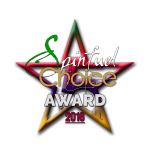 The last time we paid a visit to Lunar Rover they walked away with 4 Spinfuel Choice Award. That review was back in October, 2015, a year ago. Today we visit a brand new lineup from Lunar Rover, the Apollo line, and it’s worth noting off the bat that the four flavors we review today are unexpected masterpieces in sophisticated, truly masterful eliquids. There is a total of six (6) flavors in the Apollo line, and we hope to bring you a review of the two flavors not in this review. Each are 70% VG, 30% PG, with nicotine strengths of 3mg and 6mg, and a zero-nicotine as well. The price of a 30mL glass bottle is $20.95, the next size up is a whopping 100mL glass bottle at a much more economical $44.95, or 45 cents per mL. We recommend buying the 100mL bottle for two reasons; economy of price, and 30mL won’t last you 3 days. These HighVG blends are so delicious, so “all-day-vapes” that the 30mL size won’t make sense. Of course, to begin with you might want to invest as little as possible, but trust us, 100mL is the right choice. Speaking as a team, the Apollo line consists of six flavors that are unique, layered, complicated, and heavily nuanced. These are not your simple flavors, far from it. It is our opinion that /most/ vapers will love them, but those that do not love them could very well despise them. If you are the type of vaper that prefers the simple pleasures of a vanilla custard, or peach and cream, strawberry, or other single note flavors, Apollo is not for you. This complex flavor profile for the whole Apollo line needs to be scored differently than some of the other eliquids that we’ve reviewed. The reason for this is the complicated flavors. In all the areas that we care about, quality, safety, consistency, and an honest flavor description, Lunar Rover and their Apollo line are most definitely 5 Star eliquids, every one of them. The only factor that can play a part in your decision to try the Apollo line, or not, must come from the four people in this team that will tell you whether or not they liked the flavor. Vapor production is first rate, quality if first rate, so individual decisions can only differ by individual likes and dislikes of the flavors Lunar Rover created. Keep this mind when you continue reading. After a brief test with Wicked Brulee I advised the rest of the team to approach this review using their favorite gear, not devices that are currently being reviewed or any tank they do not know personally. We used the gear we use every day so that the true flavor of each blend would shine through truthfully. Julia – Lost Vape Therion and Triade, SMOK Alien mods. SMOK Baby Beast and Cloud Beast (0.15Ω), Freemax Starre PURE (0.5Ω). Jason – Lavabox DNA75, SMOK Alien mods. SMOK TFV8 Cloud Beast (0.15Ω) and Freemax Starre PURE (0.5Ω). “Take in the heavenly taste of light creamy custard topped with perfectly caramelized sweet sugar – devilishly blended with a hint of perfectly aged bourbon. So good you will feel guilty. Julia 5 Stars – This spectacular 3-flavor blend begins with the flavor of caramelized sugar, then a delicious bourbon, and finally a layer of creamy custard on the exhale. One flavor blends perfectly into another while allowing each to take center stage for a brief period. Wicked Brulee is a by smart and sophisticated blend, but one that I definitely enjoyed all day long. I will add this to my bi-weekly rotation. We added an extra day to our review period just so we didn’t have to rush to another eliquid before getting to know each component in these 4 flavors. If you like the taste of a sweet bourbon, then you will fall in love with Wicked Brulee. If bourbon isn’t a flavor you can appreciate, no amount of caramelized sugar or creamy custard will cover up the smooth, perfectly blended bourbon. Tom 5 Stars – I haven’t enjoyed such a complex flavor from an eliquid in ages. In fact, when I began vaping Wicked Brulee I had forgotten that there were still eliquid brands creating flavors like this. Flavors for sophisticated palates, for connoisseurs of complexity, Apollo’s Wicked Brulee is a genuine pleasure to experience. Don’t bother vaping these flavors with a sub-par tank, you’ll want the best possible flavor tank you can get. 70% VG will get you all the vapor clouds you can stand, and with something like the TFV8 or Starre PURE, you’ll taste every single flavor component just like Lunar Rover created it. 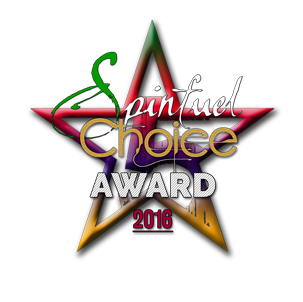 Kiera 5 Stars – Wicked Brulee is something very special. This golden, very thick eliquid has an aroma that screams sophistication, and the flavor from a good tank will melt your brain in a very good way. Wicked Brulee wants you to vape it warm and slow, leisurely taking in deep lung hits and exhaling slowly. This is such a special vape experience that I couldn’t imagine not having a 100mL bottle on hand at all times. Jason 5 Stars – If you take our advice and vape Wicked Brulee, or any of the other three, with a good tank, please don’t vape while driving. The clouds of vapor from these eliquids, in a tank like the SMOK Cloud Beast with the .15Ω coil head, with a deep lung hit will come between you and your windshield for several seconds. That’s how thick the vapor is. As for flavor, Wicked Brulee lays out the caramelized sugar, the bourbon and the creamy custard in such a way that your brain will slow down, your senses will heighten, and you’ll want to put off any plans you might have, just to stay home and enjoy this wonderful blend of splendid flavors. Julia 5 Stars – We’ve enjoyed several mango flavors over the past few years, and I didn’t think there was another way to present a mango eliquid that hasn’t already been done… until I vaped Mango Swirl that is. The official description describes Mango Swirl to a T. I first tasted a natural, ripe, authentic mango flavor that changed during the act of inhaling to exhaling into a creamy yogurt flavor. I didn’t think I was going to like this one before I tried it, and I was surprised that I like it as much as I did. Lots of complex flavor, an abundance of vapor, and it didn’t feel as though I was vaping a heavy combination of flavors. I’m still not sure I want to add Mango Swirl to my rotation, but for now, it is definitely being added to my collection. Tom 5 Stars – Flavors like these four are proof that there are still eliquid mixologist trying to create flavors not found elsewhere, but that still deliver superb vape experiences. Mango Swirl cannot be considered a simple mango flavor, or a twist on mango flavors. I don’t know if any yogurt maker actually makes a mango yogurt, but I would imagine that if they did, this is what it would taste like. I do want to say that although the mango flavor is there, it is not the usual run of the mill sweet mango flavor. Here we have something more natural, almost pungent, raw, and unique. The creamy yogurt adds a much needed sweetness to the experience, and without it I’m afraid Mango Swirl would taste more like an organic eliquid, with sharp edges that would not condone itself to be an eliquid I would vape for hours on end. Even if I did not like the flavor of Mango Swirl I would award it with 5 Stars because of the amazing intricacy of the layers and the utmost quality of the entire Lunar Rover line. That said, I do like Mango Swirl and have added it to my weekly rotation. 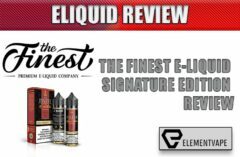 Kiera 5 Stars – Since August 8th eliquid brands have been closing shop left and right. Because of that many brands have been taking less risks resulting in simpler flavors, best-selling flavors, eliquids people are most likely to want to vape. Mango Swirl, and the others in this review, are most definitely not eliquids made for the lowest common denominator. Mango Swirl is the kind of expertly made heavily layered flavor that vapers will either love or hate. I love it, but then again, it feels really nice knowing that some brands are still taking chances with flavors that do more than shout out a dessert name or a fruit, or whatever. The mango flavor in Mango Swirl is not that sugary sweet mango you find elsewhere, nor is the yogurt component suffering from a custard profile. These are real complementary flavors blended so well that the joy of vaping Mango Swirl is about tasting the refined nuances that abound in this ‘swirling of flavors’. Added to my daily rotation for now. Jason 5 Stars – Although I am awarding the 5 Stars for Mango Swirl, I have to admit that this ultra-complex flavor is not an all-day-vape for me. I can fill a 4.5mL tank 3 or 4 times before wanting to change out the juice, but while I am vaping it I feel as though I am vaping something deliciously… different. This is not a dessert vape, though I have no complaints about it not being sweet enough. In fact, it is “just” “sweet” “enough” to keep the natural mango flavor alive. Tons of flavor, lots of vapor, and a flavor blend you won’t forget. Julia 5 Stars – I can’t remember a watermelon eliquid that I enjoyed enough to add to my rotation or my collection of eliquids. Melon Fresco will meet the same fate; it won’t be in my rotation. Watermelon is not a flavor I particularly enjoy in any form, so I can’t tell you that I loved this eliquid, though it was sure was fun to vape for a while. The thick, aromatic vapor was so very thick, and with a good flavor chaser tank, if you do like watermelon flavors this is as good as it gets. Tom 5 Stars – I liked Melon Fresco because I happen to like watermelon when it is in season. This is an eliquid that reproduces the exact flavor of a ripe watermelon, including that special sweetness that ripe watermelons have. Very good flavor, excellent vapor. I actually vaped every drop I had, more than 100mL in 5 days. I’m beginning to miss it, so I’m leaning on adding this to my collection, and perhaps even as a once a week indulgence. A watermelon lover’s dream in vapor form. Kiera 5 Stars – Watermelon. Sweet watermelon billowing forth with the thickest, densest vapor I’ve seen yet from these four remarkable eliquids. Sweet, juicy watermelon that is so authentic it’s scary. All I can tell you is that if you enjoy watermelon you have to try this one, simply marvelous! Jason 5 Stars – I don’t know if Melon Fresco will become a part of my rotation or not, but what I can tell you is that this comes closest to what a real, ripe watermelon takes like, and the amount of vapor is wild. Melon Fresco is also the simplest flavor profile of the four reviewed. Lunar Rover did the best job I’ve seen yet with a sweet watermelon flavoring. Highly recommend this one for anyone that wants a great watermelon eliquid but has so far failed to find one. This could be the one. Julia 5 Stars – Tahitian Splash could have been all kinds of wrong. Mixing nectarines, tart apricots, and papaya is something you really don’t’ want to try to get this girl to vape and review. I don’t think I have ever given a good grade to any papaya flavor before, except I think, from Hurricane Vapor (RIP) Papaya Milkshake. Before and since, Papaya just didn’t do it for me. So, with this blend, it was all wrong for my tastes, and I saved it for the last flavor in this review. You might ask; Why the 5 Stars? Juice quality? Complexity? Well, yes, those, certainly. But, I’ll be damned with Lunar Rover didn’t just create a truly strange and delicious topical fruit vape that I cannot resist vaping! Tahitian Splash first big flavor is the papaya, and if that was the only flavor it would fail for me. But, Lunar Rover takes this big apricot flavor and with the magic of alchemy fuses the sweet flavor of nectarines and the deep flavor of apricots in such a way as to wake up my taste buds with a delightful, fun, and very delicious amalgam of flavor that made me want to take the deepest lung hits possible, and the slowest exhales imaginable. I am so bewildered with my forbidden love for this eliquid that I have no answer for you other than to say that if you’re looking for something that is both different, and impossible to put down, Tahitian Splash is the best candidate yet. Tom 5 Stars – You will need to be careful with Tahitian Splash. The weirdest thing about it is that at certain times of the day, or after vaping a different flavor for a while, Tahitian Splash will taste very different. To get to the real flavor I suggest setting up a tank and vaping it first thing in the morning. When you identify the real flavor you’ll love it, and you can monitor the flavor changes throughout the day. Despite all the complexity of this layered flavor I am adding it to my rotation. Tahitian Splash makes a wonderful wake up vape. One that will take me into the mid-morning hours at least. Kiera 5 Stars – Tahitian Splash and Wicked Brulee are the most complex flavors I’ve had in more than a year, at least. I love them both, but while Wicked Brulee really comes alive when vaped with warm vapor, Tahitian Splash is a little better with a cooler vapor. I could be wrong, but to me the biggest flavor presence belongs to the papaya, followed by apricot and nectarines. Complicated but in a good way. Don’t expect a simple experience with this one. Jason 5 Stars – Man, Tahitian Splash has the most intricate stacking of flavors I’ve ever seen in an eliquid. I can’t imagine the process Lunar Rover had to go through to achieve this intriguing blend of flavors. Apricots, nectarines, and the very difficult papaya flavoring, each delivering its own punch at one point or another in every pull of the drip tip. I did love the flavor, but I’m just not sure I would vape it enough to want to keep it in rotation. As much as I like the super sophisticated flavors, most times I’m just looking for a simple, delicious flavor with tons of vapor. I would recommend trying it though, you just might wind up loving it more than you think. Clearly Lunar Rover put their all into the Apollo line. These four flavors in today’s review are all incredible in their own remarkable ways, but they are not for fans of simple one-flavor formulas. I joked around with Tom on the 3rd or 4th day and told him that the Apollo line was a line of grown up eliquids, adults only. That’s not exactly right, but Tom thought I was on to something. The next day he told me that it was hard to avoid the word “sophisticated” (which is very true), so that they might not be so much ‘grown up’ eliquids, but perhaps flavors for vapers looking to experience more than general purpose flavors. 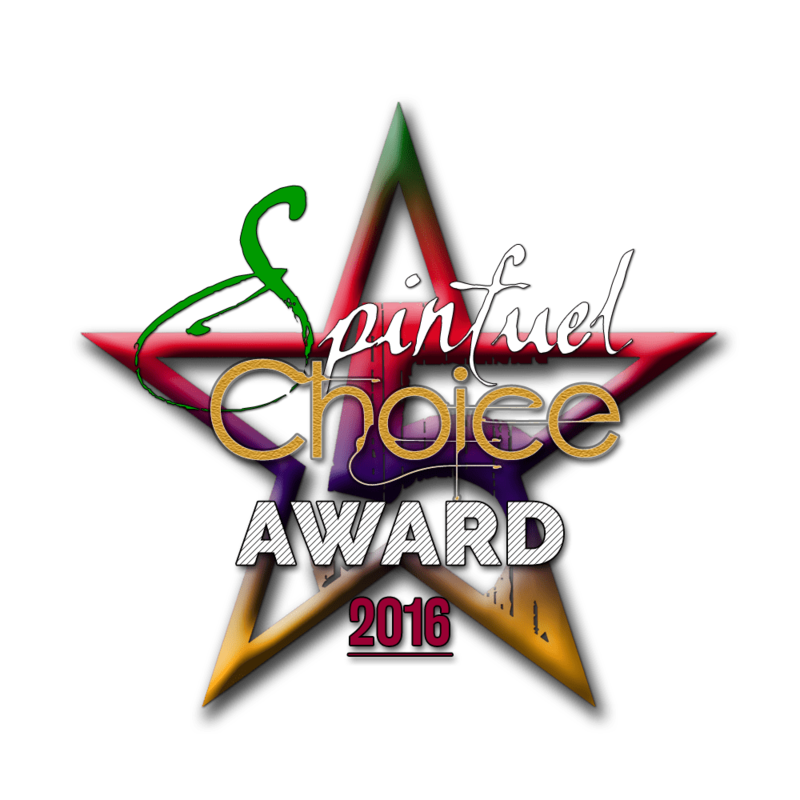 All four eliquids deserve the Spinfuel Choice Award, though that does not mean you will love one, two or all four. If you want to taste carefully constructed vape experiences that will remind you just how masterful some mixologists can be, try the Apollo line.